Storyboards & Illustrations David Boller: RED SKY IN COMIX MAGAZINE! RED SKY IN COMIX MAGAZINE! In next week's edition of COMIX my new comic RED SKY is starting it's serialization. This is the continuation of my already published 300-page graphic novel ENDLESS SKY. I also created a cover for the issue which you can see below. Both graphic novels can also be read for free on ZAMPANO. 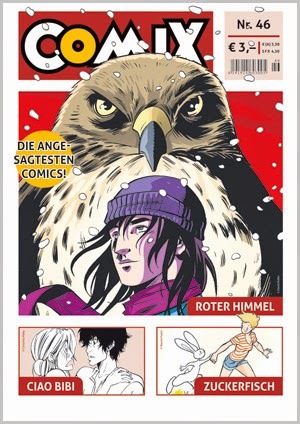 COMIX will be available next week on most good newsstands and bookstores in Germany.